Improving the performance is not only to increase in sales revenue but also to control costs of doing business.Re-designing the business process to have positive outcomes and to improve operational performance is Outsourcing. Researchers saw that procurement outsourcing results are increased in 2012-13 by 12 percent in managed spend and annualized contracts. 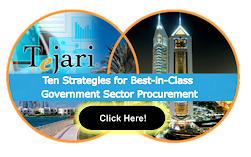 The role of procurement outsourcing is to enhance the strategically procurement capability of an organization by providing complete savings and values, it also gives the knowledge of hidden categories of spends. Benefits of procurement outsourcing are to improve the prices and also cost reduction in a planned manner. Refocusing on your huge reductions can also be done through your staff. Further strategic activities are materialized as the clients get the detailed market and supplier intelligence. Outsourcing also provides visibility to the clients on different absolute levels of expenditures, as Maverick buying are the common problems that does not magnifies the hidden spends and always under estimated. Outsource can also help out in the accountability of savings and supplier performances however procurement service providers are the procurement specialists in sourcing of strategy and implementation of categories scope. If you want to determine that how your procurement processes can be performed, then these key metrics can be used to facilitate and measure benchmark supply management efficiency and effectiveness.